Review:South of Indus Valley, the trails through the Markha valley would have been followed by villagers and monks for many centuries. Eminent travelers William Moorcroft a nd George Trebeck wandered these valleys while awaiting permission to cross the Karakoram pass. Morning half day sightseeing of Phyang � founded in 16th century by King Tashi Nangyal. Spituk - The monastery first belonged to the Kadampa order but in the 15th century it was restored and Tsong Kapa sent two Lamas to transfer it to Gelupa order. Afternoon free for preparation of the trek. Morning a short drive to Spituk trek point, where the mules will be waiting. After loading the mules, we commence the trek. To begin with it is a short stage and moderate ascend to Zinchen. The second stage to Yurutse is too easy and moderate. Our next stage is strenuous all the way up hill till Gandla Pass (4900 M.), then descend to Skiu village. Trail now is fairly flat along the river, we will have to switch several times from right to left and for this purpose we have to begin our day very early in order to complete river crossing in early hours of the day to avoid high tide, finally we camp near Markha village. From here the trek involve some steep ascends with a few difficult stretch at the river bed and pass through Humling monastery as well as Hankar village to Thanchungtse pasture for night halt. 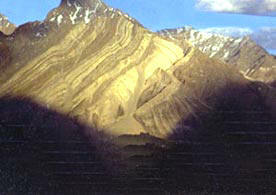 Now a short and beautiful stretch under at the foot of Kangyatse Peak (6400M.) in the wonderful, one high valleys of Ladakh to Nimaling (4700M.) for night halt. This is a gazing ground for yaks. Now the trail climbs steeply for few hours up to Kongmarula pass (5150M.) which commands a beautiful view of surrounding peaks, we stop here for some time to enjoy the panoramic views, then descend down in to gorge with few difficult stretches over the boulders and cross several time the ford to Shang for night halt. A short and easy stretch all the way down hill to Martselang village, the a gradual ascend up to Hemis monastery. 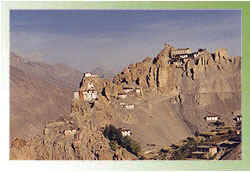 Morning visit the famous Hemis - largest monastery founded in 1602 by Tagtsangrepa and drive to Leh. En-route visit Thiksey Gompa � Tsong Khapa had prophesied that a monastery would be built here and Thiksey was founded by one of his disciple and Shey Palace � once the capital of Ladakh in the pre � Tibetan era until the 15th century. Arrive Leh and check in at hotel. 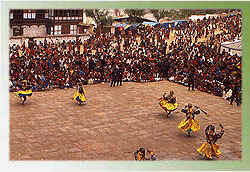 Full day at leisure to explore the town and nearby monasteries. Morning fly to Delhi arrive and transfer to hotel for overnight stay. Remainder of the day at leisure.